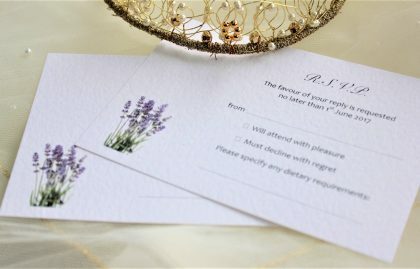 A6 postcard size (10.5cm x 14.5cm), return address on one side and the response details on the reverse. 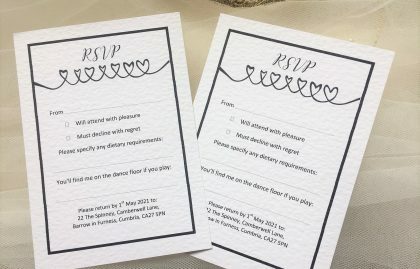 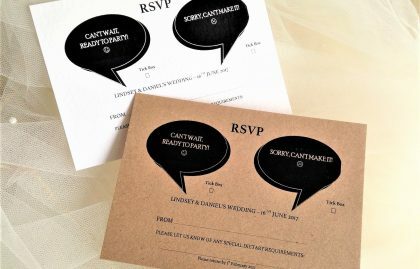 All your guests need to do is complete the card, pop a stamp on and post back to you. 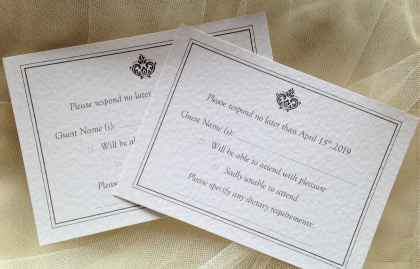 They are available in white or ivory hammered card to match invitations. 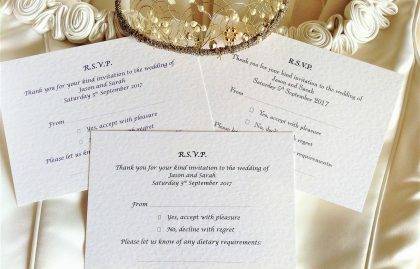 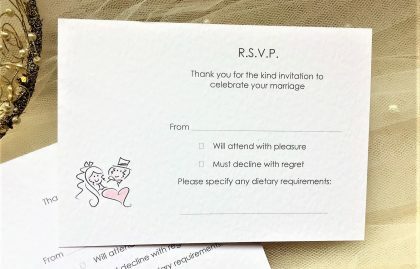 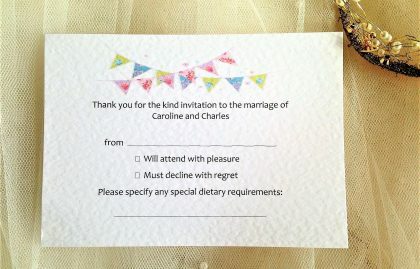 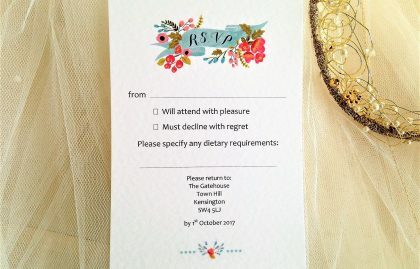 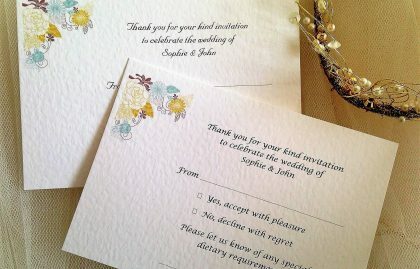 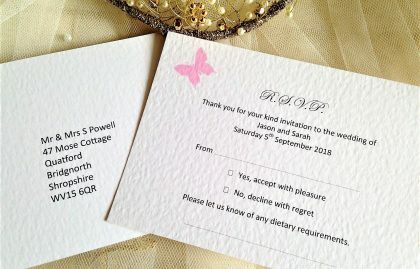 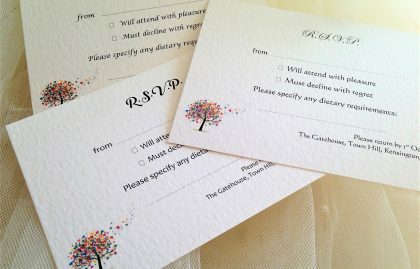 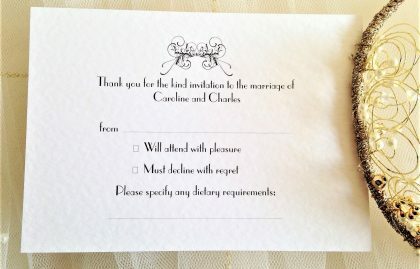 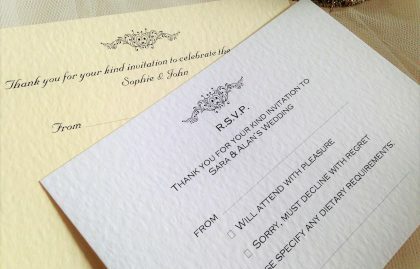 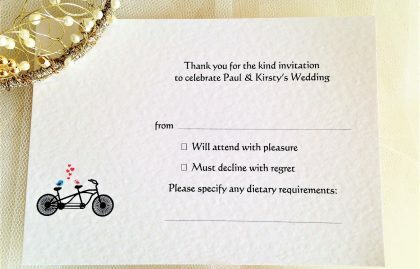 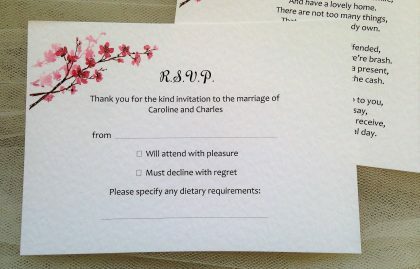 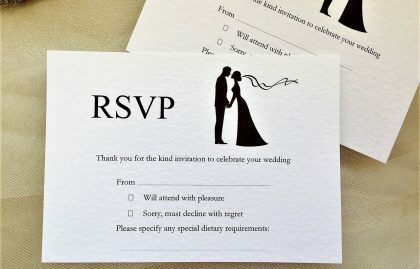 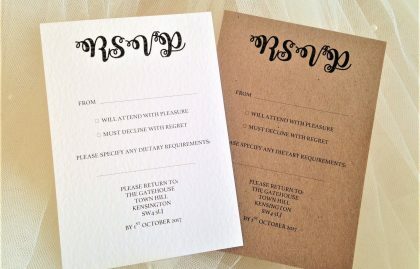 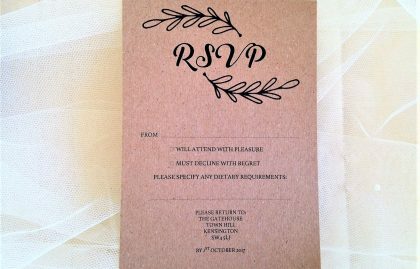 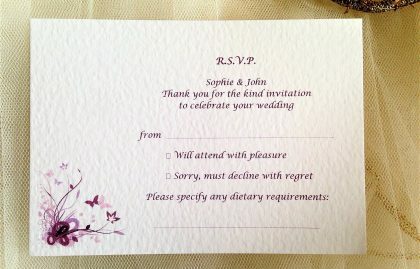 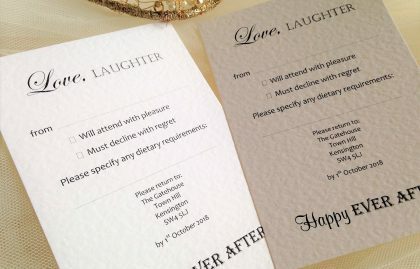 Alternatively we can also supply RSVP postcards printed on our Brown Kraft Card.